In January 2013, the European competition commission, the European Union's antitrust arm, came out against UPS Inc.'s (NYSE: UPS) US$6.8 billion offer to buy struggling Dutch delivery firm TNT Express. Almost immediately, an angry and frustrated UPS, which complained it was never told exactly what the commission objected to, withdrew its bid. In retrospect, perhaps UPS should ship the commissioners a rush Christmas gift or two. By abandoning the deal, the company would be spared the cost and hassle of integrating TNT. As proverbial icing on the cake, it would see that misery foisted on its chief rival, FedEx Corp., (NYSE: FDX) which acquired TNT for US$4.8 billion in mid-2016 only to have its hands more than full with combining the asset since the transaction closed. The latest chapter in the integration saga was written after the financial markets closed yesterday when Memphis-based FedEx posted fiscal 2019 second-quarter results that surprised everyone by how badly it missed analysts' estimates. Even the company's top executives appeared blindsided by the weakness, which was blamed on a sudden and severe deceleration of growth in the European and UK economies where TNT does most of its business. 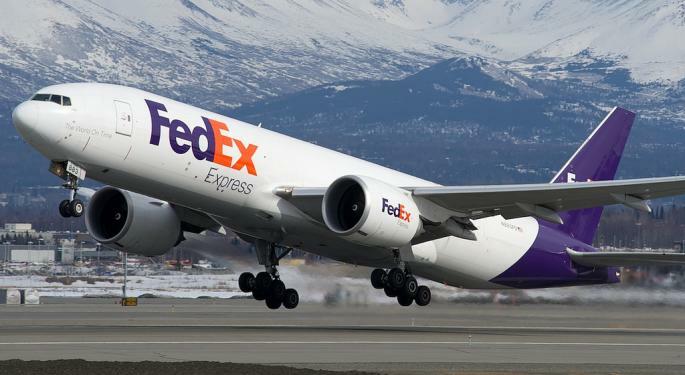 FedEx Express, the parent's air and international operation and the unit most exposed to any Euro-malaise and TNT issues, bore the brunt of the subpar results. FedEx also cited an unfavorable change in TNT's traffic mix in favor of lower-yielding palletized freight and away from higher-margin parcels, the company said. Shipment and tonnage growth for the company's International Priority" product, which caters to shippers of high-value, time-sensitive parcels, was essentially flat year-over-year. 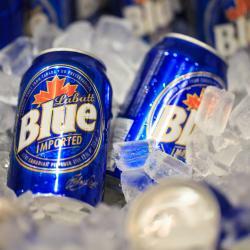 By contrast, shipment and tonnage for the company's "International Economy" product, compromised mostly of bigger shipments, rose 9 and 16 percent, respectively, in the same period. According to FedEx, the shift began after the mid-2017 "NotPetya" cyber-attack on FedEx's and TNT's European I.T. systems, which cost FedEx about $300 million to rectify. The rationale left some wondering how a cyber attack could trigger a significant change in mix, and the company in its analyst call didn't really connect the dots. Jerry Hempstead, who spent decades in top sales roles at DHL Express and the former Airborne Express, which DHL acquired in 2002, said UPS and DHL saw a surge in Euro parcel traffic following the attack. They retained the most profitable of the diverted business, and let the rest go back to FedEx and TNT, which saw parcels pile up as they worked to recover from the attack. Neither company was helped by the advanced age of TNT's technology, which matched its aging hubs and equipment, according to a source close to both. FedEx came close to acquiring TNT in the 2007-08 time frame, but was put off by the age of its technology, the source said. Any integration challenge that one can think of has materialized, from integrating I.T. systems--perhaps the biggest issue--to upgrading TNT's aging infrastructure, to weeding out product lines that no longer work, to meshing disparate corporate cultures. Still ahead are the most complex integration projects, involving the largest countries and workforces n the network, lies ahead. FedEx will spend $450 million, about one-third of the projected integration tag of $1.5 billion, in this fiscal year alone. FedEx has also faced unusually stiff competition from the multitude of small, local Euro-delivery firms that are trusted fabrics of a city, region, or even a country. Its reputation as the deep-pocketed outsider hasn't helped, the source said. 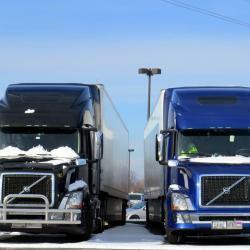 "It's biggest problem is that it enters into a market as FedEx," the source said. "It's never been able to fully grasp the concept that local businesses might want to work with local providers." By contrast, DHL Express, which invented international air express nearly 50 years ago, often will turn parcels from its customers over to local providers and make them customer-facing. That is not only more efficient for DHL, but it puts the local courier in front of familiar faces such as customers and customs officials, the source said. As investors digest yesterday's results, there is concern among some analysts the company is not being fully transparent in communicating the status of the TNT integration. "The commentary around Europe is not very satisfying, as it likely reflects significant underperformance at TNT, on which management is still not offering necessary details" about the integration, Amit Mehrotra, transport analyst at Deutsche Bank, said in a note published immediately after last night's call. Mehrotra lowered his full year 2019 earnings estimates and price targets, but added that his estimates could prove too conservative and that FedEx shares, at current levels, are quite cheap. Shares became markedly cheaper as soon as the opening bell rang today, and by the close of trading it was carnage. Shares fell $22.50 a share, a nearly 13 percent decline..
Hempstead said FedEx has adopted a overly-optimistic view of events surrounding TNT, and believes it will all work out in the end. Alan B. Graf, Jr., FedEx CFO, said the company is confident the acquisition and integration will pay off, yet at a more moderate pace than expected. What will not happen, at least in 2020, is the $1.7 billion profit improvement at the Express unit that was forecast in FY 2017. Graf said he would communicate progress towards meeting that goal during future analysts call. No one disputes FedEx's contention that global economic growth has slowed, and that in Europe it has declined rapidly and dramatically. One tip-off might have been the weaker-than-expected third-quarter results recently reported by transport and logistics giant XPO Logistics, Inc., (NYSE: XPO) which generates about 40 percent of its revenue from Europe, and 13 percent from France, where business has been affected by widespread nationwide rioting in recent months. According to FedEx, Eurozone GDP fell from 2.5 percent in 2017 to 2 percent in the second half of calendar 2018. FedEx said U.K. economic activity has slowed sharply since July as worries arose about the timing of Britain's withdrawal from the EU, how it would be managed, and the impact on commerce now with a border separating Britain and the continent. Global trade growth has declined to 3.5 percent from 5.3 percent at this time last year, FedEx said. "The peak for global economic growth now appears to be behind us," said Raj Subramaniam, who takes over Jan. 1 as head of FedEx Express, succeeding David L. Cunningham, who is retiring. The sobering view of global economic activity may not be shared by FedEx's two primary rivals, however. A DHL spokeswoman said today it hasn't seen any material change in network-wide volumes from the early November period when its parent, Deutsche Post DHL, reported its third-quarter results. In October, UPS Chairman and CEO David Abney spoke bullishly about the international landscape when UPS posted its third quarter results. "UPS benefits from positive global economic conditions…and we are operating in a favorable growth environment," Abney said on the analyst call at the time. A UPS spokesman said the company will not speak publicly about current conditions until it releases its fourth-quarter results early next year. 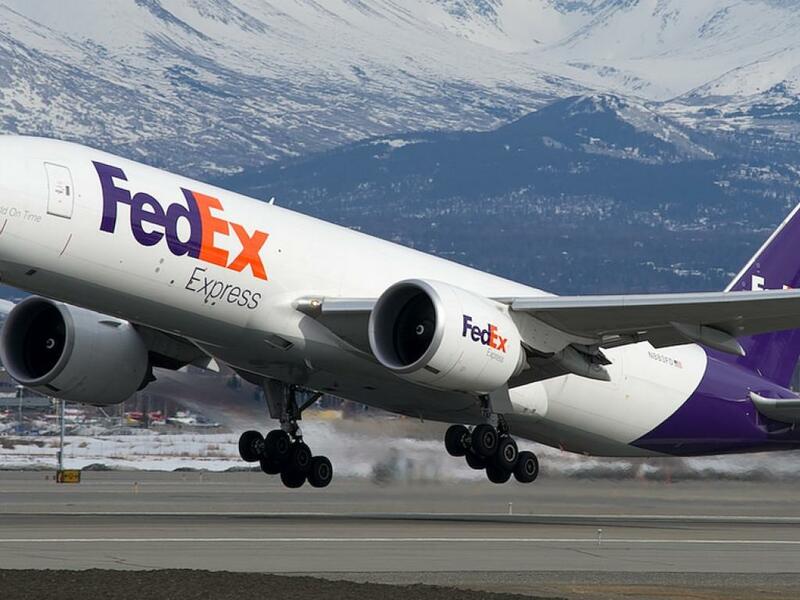 FedEx believes that the reasons for buying TNT remain relevant, and that shippers will gain compelling value from a combination of TNT's strong ground network in Europe, the Middle East, Asia, and Latin America, with FedEx's vaunted intercontinental air system. Hempstead, for his part, said businesses want a viable FedEx-TNT alternative to DHL and UPS. "Shippers can't wait for FedEx to get it right at TNT," he said. Still, Fred Smith, FedEx's founder, chairman and CEO, must be wondering what his company has to do to catch a break in Europe. In 1992, FedEx ended a large-scale European expansion after years of losses, retrenching to serve just the major commerce centers. In the decades to come, it modestly grew its European footprint through tuck-in acquisitions and organic growth. Grabbing TNT, Smith reasoned, would serve two purposes: Enabling FedEx to boldly re-enter a market where it had been last in parcel share, and keeping a major property away from its rivals.